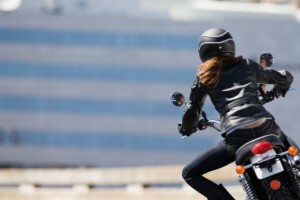 Motorcycle deaths have increased in all but one of the past 14 years, while car accident deaths have steadily declined, according the National Highway Traffic Safety Administration (NHTSA). Nationally, 4,612 people were killed in motorcycle accidents in 2011, marking a 2 percent increase from the previous year. Texas is no exception to the national rule. In 2011, there were 471 fatal motorcycle accidents throughout Texas, up 51 from the previous year and representing a 12 percent increase. According to the Texas Department of Transportation (TXDOT), approximately 6,000 people are injured each year on average throughout Texas as a result of motorcycle accidents. Nearly half of all motorcycle accidents are single-vehicle accidents. But when another vehicle is involved in the collision, the driver of that vehicle is at fault in as many as three-quarters of the accidents. Although multi-vehicle motorcycle accidents can occur in many different ways, the underlying cause is often the simple fact that the other vehicle failed to notice the motorcycle. Despite efforts by advocacy groups and governmental agencies to bring public awareness to the presence of motorcycles on the roadways, many drivers of cars and other motor vehicles still don’t make the effort to look out for motorcycles, often with tragic consequences. Visibility – Because motorcycles are smaller in size, it’s harder to see them on the road. Unfortunately, this means motorcycles are more vulnerable to being involved in accidents when other drivers don’t keep a proper lookout. Motorcycles have shorter stopping distances — A motorcycle is capable of stopping at a faster rate, meaning that motorcycles can be rear-ended more easily than a car, truck or tractor-trailer. If the driver of one of these vehicles is following a motorcycle too closely, a serious rear-end collision could occur. Failure to yield right of way — If drivers are not paying attention at intersections, they may pull out right in front of a motorcyclist and cause a serious collision. Intersections are also dangerous because some drivers don’t see oncoming motorcycles and make left-hand turns immediately in front of them. Drunk driving – It is easy to understand how an impaired driver might not see a motorcycle approaching or in his or her path, causing a tragic collision. Distracted driving – Driver inattention is a serious concern on Texas roadways with the increased use of cell phones and other electronic devices. Cell phones or other distractions increase the odds that a motorist will fail to notice a motorcycle. Reckless or aggressive driving – Following too closely, unsafe passing, and speeding are common examples of how aggressive or reckless driving can lead to a motorcycle accident. According to the TXDOT, two-thirds of motorcycle accidents result in serious injury or death to the motorcyclist. Because a motorcycle offers virtually no protection in a crash, this comes as no surprise. Head injuries – Although wearing a helmet certainly decreases the risk of a head injury in a motorcycle accident, head injuries are still one of the most common types of motorcycle accident injuries. A severe traumatic brain injury (TBI) can cause irreparable harm to the victim. Even a mild TBI can cause the victim to live with life-long disabilities. Back, neck and spine injuries – Being thrown from a motorcycle or being crushed underneath one often causes back, neck and spine injuries. The injuries can be relatively mild, such as sprained ligaments and tendons, or can be life-altering, as is the case if the victim is paralyzed because of the accident. Broken bones – Although broken bones can heal, they often cause the victim to live with a lifetime of pain as a result of the injury. Road rash – Road rash is what happens when exposed skin hits the road in a motorcycle crash. Road rash injuries can be serious if the injury scrapes off the upper layer of skin. Even if you follow all the rules of the road and heed safety warnings, you could still wind up the victim of a motorcycle accident that is caused by another driver’s negligence. If that occurs, it could change your life forever in the blink of an eye. If you have been injured in a Texas motorcycle accident, or have lost a loved one as a result of one, you could be entitled to compensation for those injuries or for your loss. To find out what your legal options are, contact the Texas motorcycle accident attorneys at the Law Office of Kevin Krist for your free initial consultation by calling 281-677-3963 today or by using our online contact form.